Credit: Xuemei Ji, M.D., Ph.D.
LEBANON, NH – Lung cancer is the leading cause of preventable cancer death. A disease of complex origin, lung cancer is usually considered to result from effects of smoking and from multiple genetic variants. 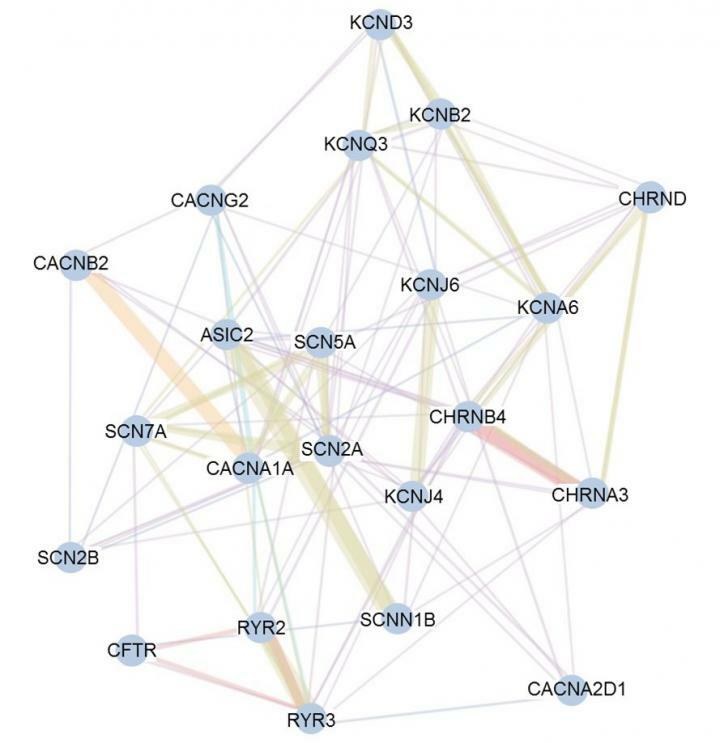 One of these genetic components, a chromosome named 15q25.1, has been previously identified as a leading influencer of susceptibility to lung cancer, smoking behavior, and nicotine addiction. However, no previous study has investigated the mechanisms of this lead agent, or documented the susceptibility pathways that allow this chromosome to modify development of disease. A research team led by Xuemie Ji, MD, PhD, Research Associate in Department of Biomedical Data Science at Dartmouth's Geisel School of Medicine, helped solve this central problem. The team identified two main pathways involving the mechanism by which the chromosome 15q25.1 locus influences lung cancer risk. The first pathway is an interaction pathway in the nervous system that is implicated in nicotine dependence. The other pathway can control key components in many biological processes, such as transport of nutrients and ions, and the human immune system. The results have been newly published in Nature Communications. "Our findings in pathways uncover insights into the mechanism of lung cancer etiology and development, which will potentially shorten the interval between increasing biological knowledge and translation to patient care," says Ji. "Blocking genes downstream or in parallel pathways might provide a strategy to treat such cancer." Xuemei Ji, MD, PhD is a Research Associate in Department of Biomedical Data Science at Geisel School of Medicine. Interests in cancer control research include identification of susceptibility mutations, common genetic variants and pathways in modifying disease etiology.